I hope you all are doing well! I hope that you all had a great and wonderful time for Thanksgiving! I hope that you all that were home for the holiday took the time to cherish the moments that was spent with loved ones. If you didn’t make it home I hope that whoever you spent the day with that you also cherished the moments that were made. We should be thankful EVERYDAY not just one day out of the year! 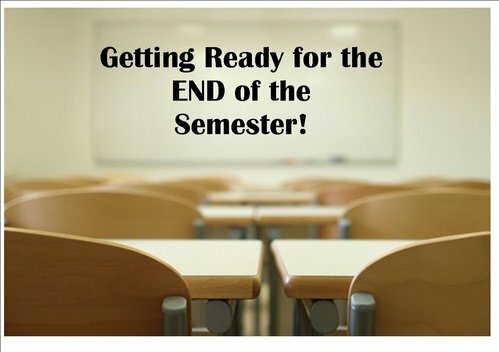 The school year is winding down and the semester will be done with for the year. Final exams will be coming up within the first few weeks of December. I hope and pray that you all do well on your tests, exams, final projects, etc. I hope that you all have become adjusted to being college and have gotten to experience some great moments from the first half of your freshman year. I hope that you all continue to work in finding yourselves and feeling out what you want to do in life. It is important to take this time of your life and figure out what you want to do. This is not about what others want for you. It is great to have the opinion or advice of others. But it is important to remember to follow what is in YOUR heart. No matter what obstacle or setback that you have faced thus far continue to press and push forward towards your goals. There will be days where you think, is any of this worth it and there are times where you are wanting to give up and give in. But don’t let what comes your way stop you. Life is all about the journey so take every opportunity that is being offered and pray and seek the guidance of God about it. Keep him first in all that you do and connect yourselves with individuals that will push you, pray for you, encourage you, inspire you, etc. Be who you are meant to be and not what the world wants you to be!